James George Abourezk (born February 24, 1931) is a former American attorney and politician who served as a United States Representative and United States Senator from South Dakota. He was the first Greek Orthodox Christian of Lebanese-Antiochite descent to serve in the United States Senate. He was generally viewed as critical of US foreign policy in the Middle-East and North Africa (MENA) area—notably regarding Palestine and Israel. A Democrat, he represented South Dakota in the United States Senate from 1973 until 1979. He was the author of the Indian Child Welfare Act, passed by Congress in 1978 to try to preserve Indian families and arrange for placement of Indian children in homes of their cultures, as well as to reunite them with families. James George Abourezk was born in Wood, South Dakota, the son of Lena (née Mickel), a homemaker, and Charles Abourezk, an owner of two general stores. His parents were Christians who had immigrated to the United States from the Lebanese village of Kfeir. He grew up near Wood and has lived in South Dakota most of his life. Between 1948 and 1952, Abourezk served in the United States Navy during the Korean War. After his military service, he received a degree in civil engineering from the South Dakota School of Mines in Rapid City in 1961 and a law degree from University of South Dakota School of Law in Vermillion in 1966. He began a legal practice in Rapid City, South Dakota. Abourezk was elected as a Democrat to the United States House of Representatives and served from 1971 to 1973. In 1972 he was elected to the U.S. Senate, where he served from 1973 to 1979. He declined to run for another term. In 1974, TIME magazine named Senator Abourezk as one of the "200 Faces for the Future". As a senator, Abourezk criticized the Office of Public Safety (OPS), a U.S. agency linked to the USAID and the CIA that provided training to foreign police forces. Officers they trained were used to suppress civilians in several countries in Central and South America. Abourezk also was instrumental in the creation of both the American Indian Policy Review Commission and the Select Committee on Indian Affairs. Deeply interested in representing the tribes in Congress to work toward better federal relations, he chaired the Policy Review Commission the entire time it existed. He took the gavel as chair of the Indian Affairs Committee from its creation in 1977 to 1979, when he retired. His signature legislation was the Indian Child Welfare Act (ICWA, 1978), designed to protect Indian children and families from being torn apart. Indian children have been removed by state social agencies from their families and placed in foster care or adoption at a disproportionately high rate, and often placed with non-Indian families, depriving them of their culture. This legislation was intended to provide a federal standard that included the needs of Indian children to be raised in their own cultures. He also authored and passed the Indian Self Determination Act, which provided Indian Tribes with greater autonomy by funding the Tribes while allowing them to control their own destiny. That legislation also reduced the influence of the Bureau of Indian Affairs on the Tribes. 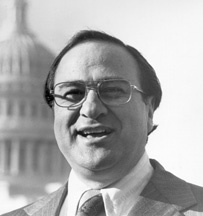 Abourezk was an early supporter of a National initiative and, with fellow Senator Mark O. Hatfield (R-OR), introduced an amendment allowing more direct democracy. However, this initiative failed. In 1978, Abourezk chose not to run for re-election. He was succeeded in office by Republican Larry Pressler, with whom he has had a long-running political feud. Following his retirement in 1980, Abourezk founded the American-Arab Anti-Discrimination Committee, a grassroots civil rights organization. In 1989, he published his Advise and Dissent: Memoirs of South Dakota and the U.S. Senate (ISBN 1-55652-066-2). He is the co-author, along with Hyman Bookbinder, of Through Different Eyes: Two Leading Americans — a Jew and an Arab — Debate U. S. Policy in the Middle East (1987), (ISBN 0917561392). Since his retirement from the Senate, Abourezk has worked as a lawyer and writer in Sioux Falls, South Dakota. He has continued to be active in supporting tribal sovereignty and culture. In July 2015 he spoke out against a suit filed against the ICWA by the Goldwater Institute of Arizona; it was one of three suits seeking to overturn the act. Some states and adoption groups, who make money off adoptions, have opposed any prohibitions on their placements of Indian children. Abourezk has considered this his signature legislation and the new rules instrumental in protecting Indian children and preserving tribal families. He noted that the late Senator Barry Goldwater, his friend and colleague, had voted for the legislation in 1977 and had often consulted with him in tribal matters. Huffington Post writer James Zogby in 2014 praised Abourezk as a "bold and courageous former Senator" for protesting to the FBI after the ABSCAM operation and calling all Arab-Americans to "reclaim the right to defend and define their heritage." ^ "Lawrence: Abourezk's contempt for Pressler remains strong?". Aberdeen News. October 6, 2014. Retrieved October 8, 2014. ^ Zogby, James (4 January 2014). "What American Hustle Doesn't Tell You About ABSCAM". Huffington Post. Retrieved 13 October 2014. United States Congress. "James Abourezk (id: A000017)". Biographical Directory of the United States Congress. This page was last edited on 16 April 2019, at 05:39 (UTC).